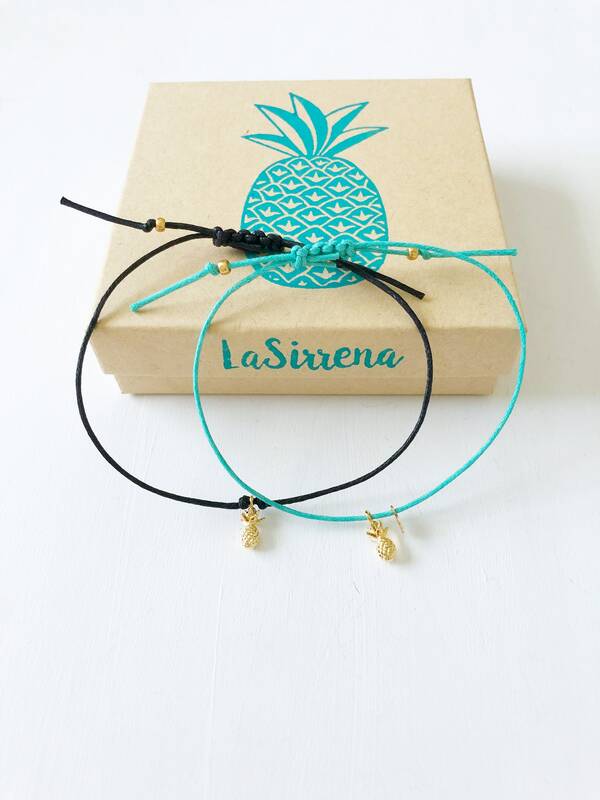 Indulge in the pineapple trend and make your shopping fruitful with the insanely cute gold pineapple bracelet. 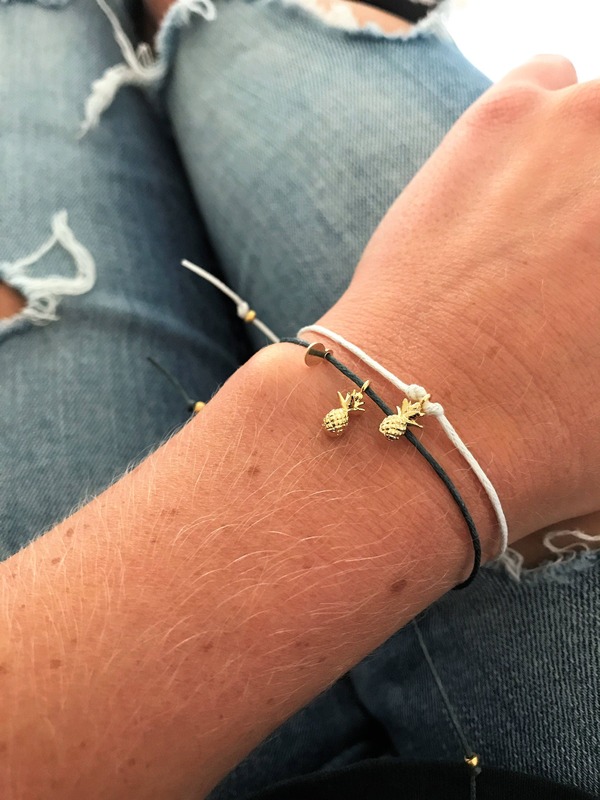 The perfect combination of unique and chic, this personalized bracelet will make anyone's day a little sweeter and instantly put them in a summer state of mind! 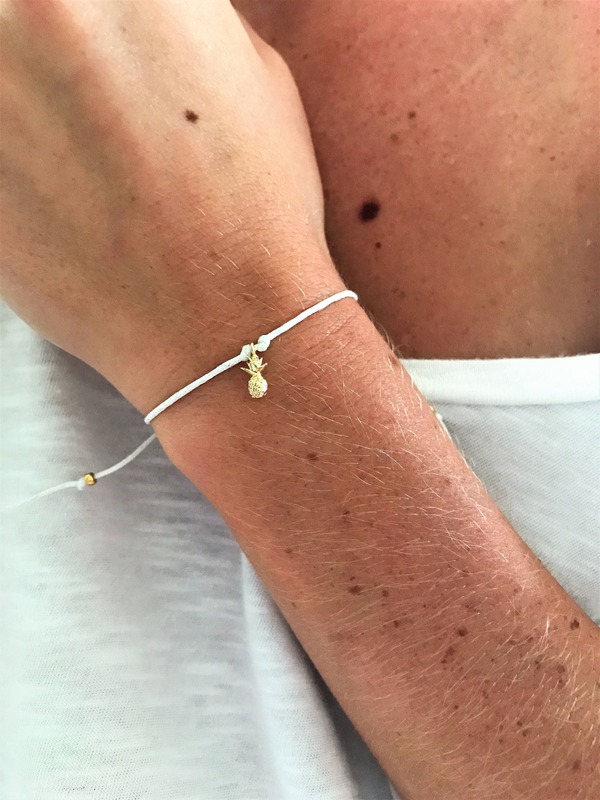 This irresistible bracelet is made with lightly waxed cotton cord, a 16K gold plated tarnish resistant pineapple charm, and a tiny gold filled initial charm (if you choose) to be customized with the initial of your choice! The tiny initial charm is customized in ImpressArt's basic bridgette lowercase letter font (see font style in last picture). 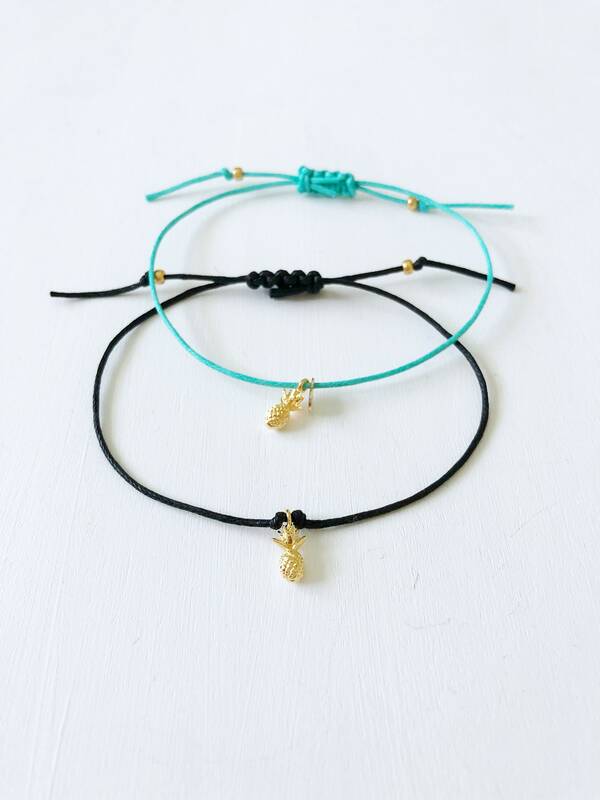 You can also choose just the pineapple charm (as seen on black thread bracelet) secured on both sides with knots. 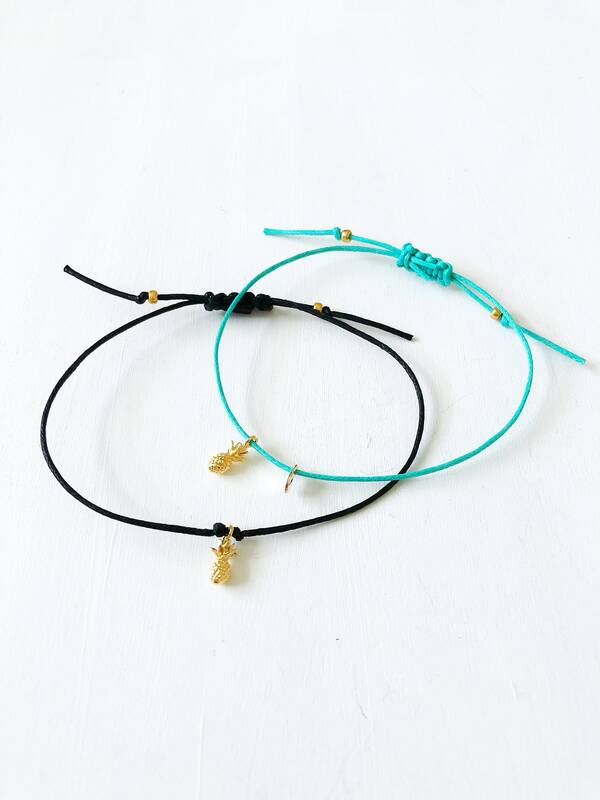 The bracelet is made adjustable with a sliding knot closure and the ends are finished off with Miyuki Duracoat Galvanized Gold Seed Beads. *Note: if you choose just the pineapple it is secured with a knot on either side. 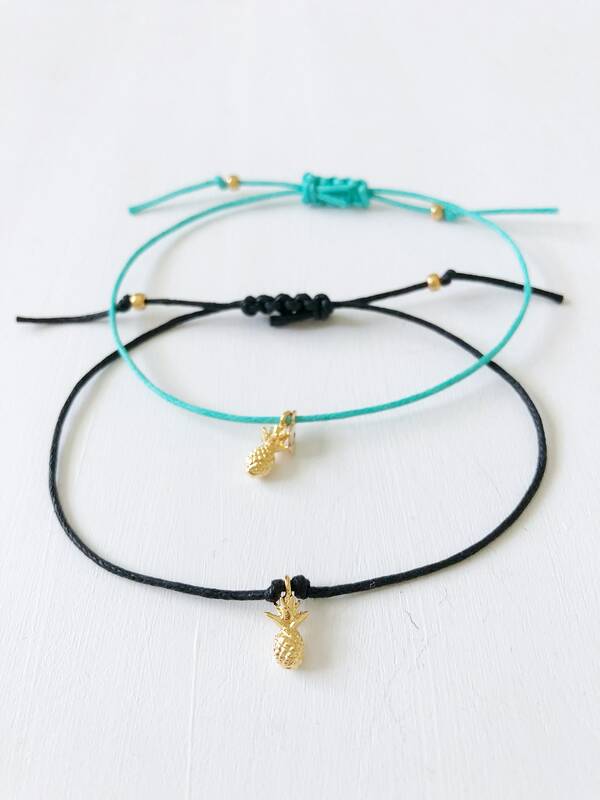 If you choose both the initial charm and the pineapple charm they are not secured with knots. 3. 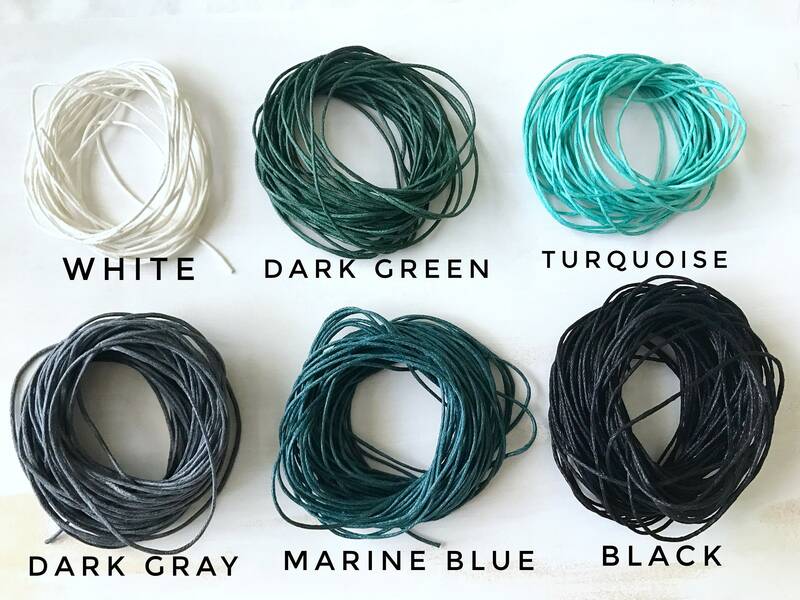 If you do choose to include the initial charm please let me know in the "add an optional note to seller" box what initial you would like. 4. 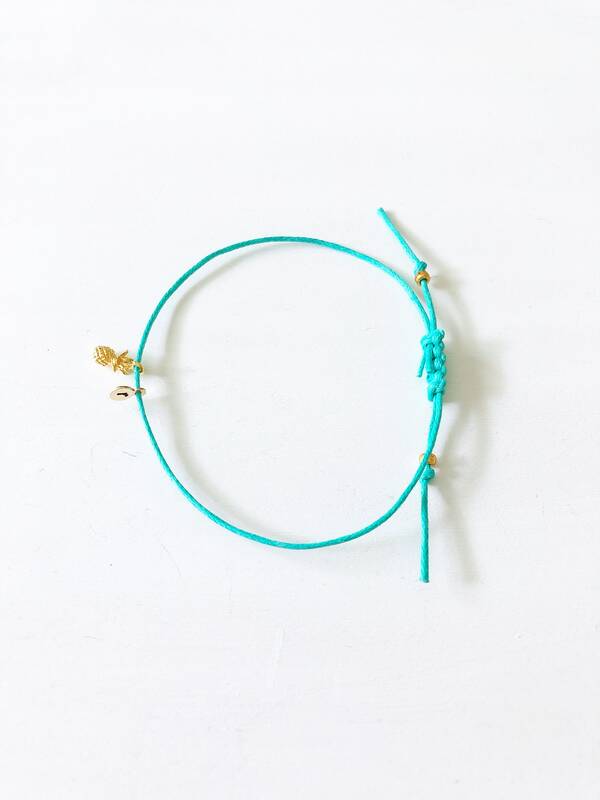 Click "add to cart" or "buy it now" to complete your order! 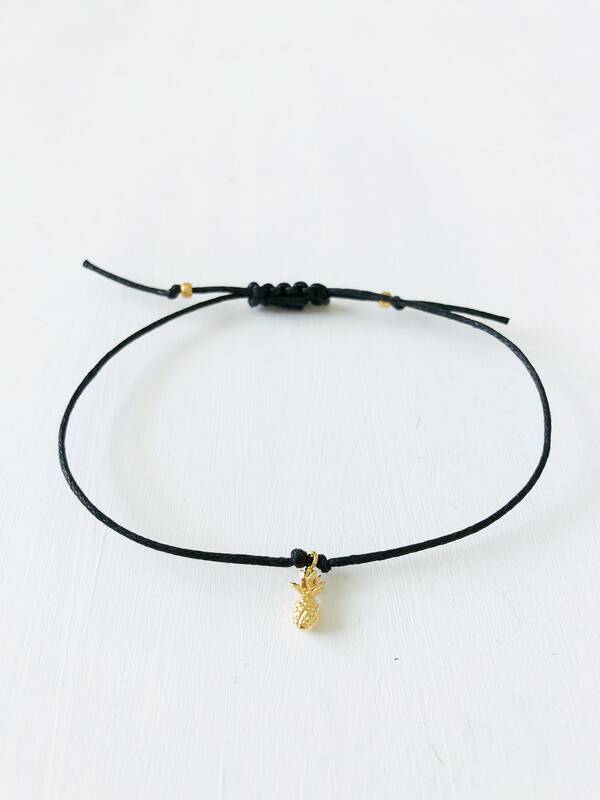 My bracelet is beautiful, thank you!